A.D. Laws Straight Triticum (Trit-e-come) Whiskey is our homage to wheat, the “Grain of Civilization.” Skillfully crafted using a Soft White Centennial Wheat grown in the high altitude San Luis Valley of Southern Colorado. 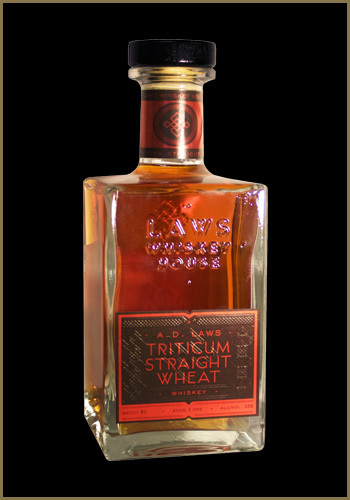 This heirloom varietal of Spring wheat produces a soft and floral whiskey with a bright clean finish. Tasting Notes: Aromas of apple orchard and orange blossoms on the nose with notes of honey and marmalade. Lilacs, apple and bergamot on the palate with hints of wild strawberry and honey suckle. Ends with a clean bittersweet finish.